sailboat. : Five Things & Five Blogs I Love Friday #36. One. 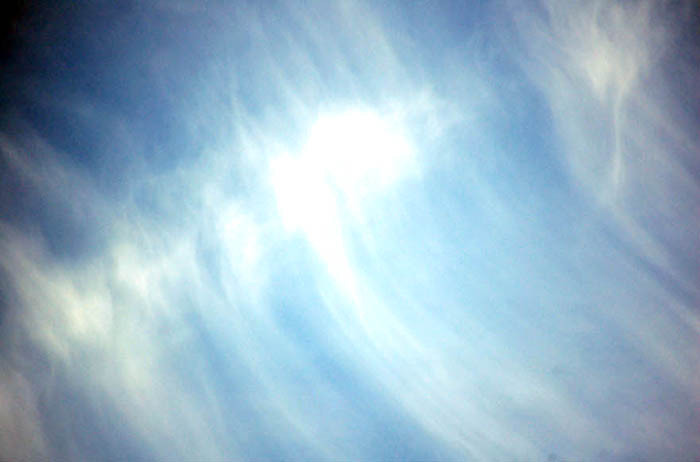 Blue Skies & Fluffy White Clouds. Summer has finally arrived and who doesn't love looking up and seeing a bright blue sky dotted with fluffy white cotton wool clouds?! I get a lot of inspiration from the sky, I think its incredible how you can look up one minute & then again five minutes later and it can be totally different yet equally as beautiful. Two. 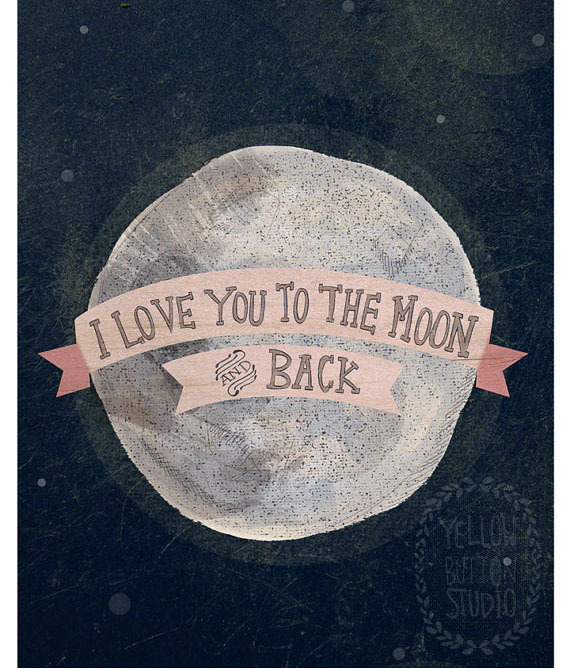 I Love You To The Moon & Back print from Yellow Button Studio. I adore Etsy and I have been looking for super cute artwork to make our home extra special. I've been wanting to create a bit of an artwork collage in the hall way and I think this print from Yellow Button Studio would look beautiful as part of that. I have seen so many people instagramming these yummy looking drinks from Starbucks recently and I instantly wanted to try one. They didn't disappoint - the berry one is gorgeous and the lime tastes just like a mojito minus the alochol. Super yummy! Four. This Feather Bracelet from Cheap Frills. Cheap Frills is such a gorgeous jewellery shop and I have completely fallen in love with the Freedom Feather bracelet. It's such a simple piece that looks really elegant and adorable while making a statement all at the same time. Beautiful! Everything seems so much brighter and happier when the sun is shining. This week has been so lovely, I've been wearing pretty summer dresses, minimal make up with a bright lip & I've even been wearing my hair up which is something I almost never do! I think I look super odd with my hair up but it's been so nice to feel the breeze on my neck. 1. The Beauty Shelf. 2. Parisian Orchid. 3. Cupcakes & Cosmetics. 4. titles are scary. 5. The Katt's Pyjamas. Please leave a link to your current favourite blog! You look really pretty with your hair up! You look GORGEOUS with your hair up! Not weird at all. Ahiwsywenumgjh!! Thanks for including me in your 'Five Blogs I Love Friday'! So honoured! I've not tried those new Starbucks drinks yet, but they look really yummy for the Summer! Aww you're so welcome lovely! The print is lovely - so cute! 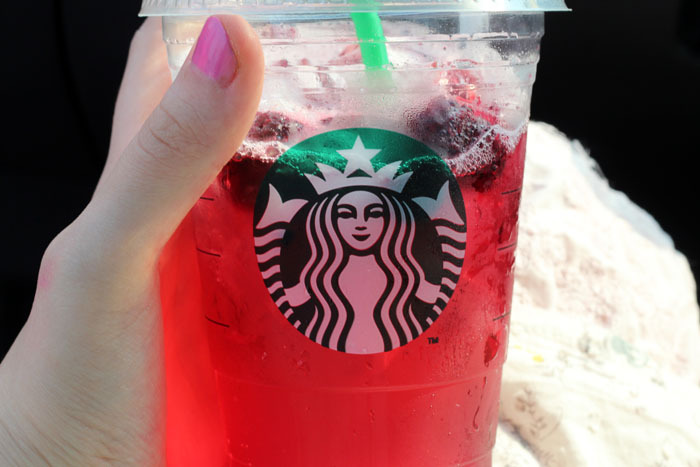 Haven't had one of the Starbucks drinks but your berry one looks delicious! 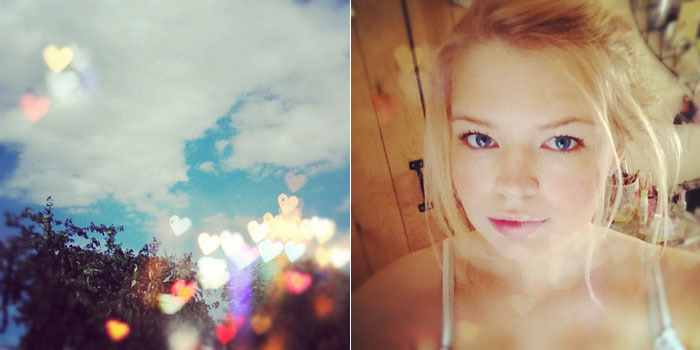 amazing pics on your blog! i like your lifestyle blog a lot. Really want to try the Starbucks Refresha, looks really... refreshing.